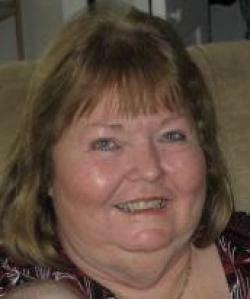 STE-ANNE-DE-KENT, NB – Marie Ann Nowlan 71, of Ste-Anne-de-Kent passed away peacefully at the Rexton Lions Nursing Home in Rexton on Tuesday, February 5, 2019. Born in Richibucto, she was the daughter of the late Firmin Robichaud and late Mary (McKinnon) Robichaud. Marie will be sadly missed by her loving husband of 51 years, Ronald Nowlan of Ste-Anne-de-Kent; one daughter, Joy Raduly (Endre) of Riverview; one son, Kevin Nowlan (Tina) of St. Charles and four grandsons, Dylan, Adam, Ben and Noah. She is also survived by two sisters, Jeannette Marquis (late Ivan) of Moncton, Cathy Savoy (Brian) of Ste-Anne-de-Kent; one brother, Maurice Robichaud (late Rose) of Rexton and many nieces and nephews. Besides her parents, Marie was predeceased by her son, Dean; one sister, Aurea and one brother, Harold. There will be no visitation at the funeral home. A Funeral Mass will be celebrated on Monday, February 11, 2019 at 11:30 am, St. Louis de Gonzague Roman Catholic Church, Richibucto. Arrangements are in care of Thompson’s Funeral Home, Richibucto.